It is a struggle for people to stay connected to their souls, to that inner compass always there to guide us, to stay true to who we individually are. 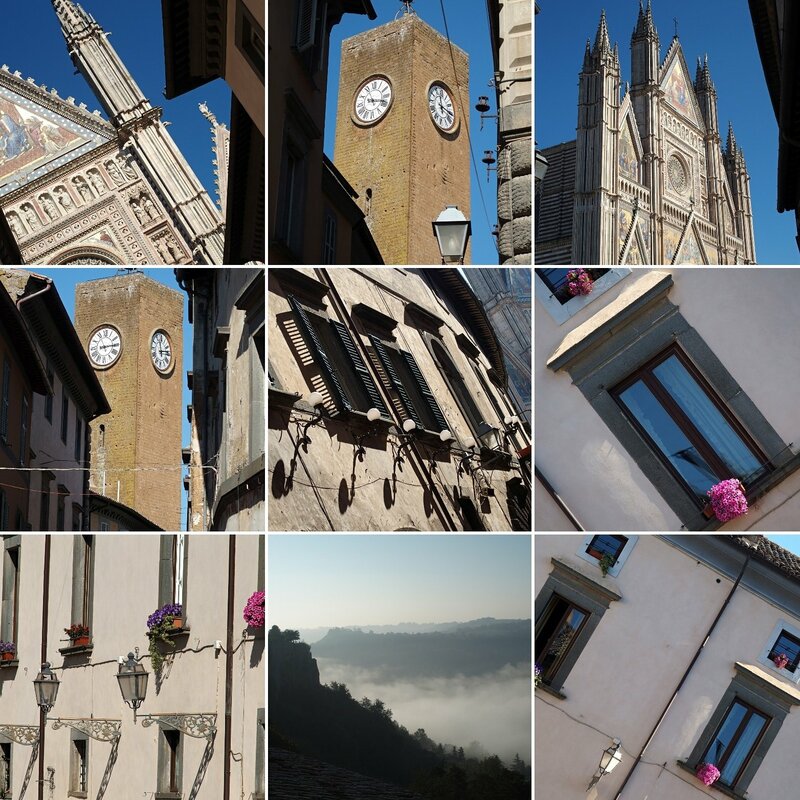 What we have been so privileged to witness is how a week here with us in Orvieto reconnects people to themselves. We have received countless letters, postcards and emails telling us how the trip was a blessing, a milestone, a life changer. It’s not us. It’s this place and way of fulling engaging life, interpreted through a creative medium that opens eyes to truly see. It touched Kristi and me early. Four years in we returned to the U.S. and knew we had to make a change. After four years of biannual visits where we were deeply connected to people and life we could no longer live an anonymous, American, suburban life. We began the search. Two years later our house went on the market and we moved to to a connected, soulful, rich life in a small town. This entry was posted in Being Ourselves, Being spirit, Belonging, Inner Voice, Life's challenges, Orvieto, Italy. Bookmark the permalink. 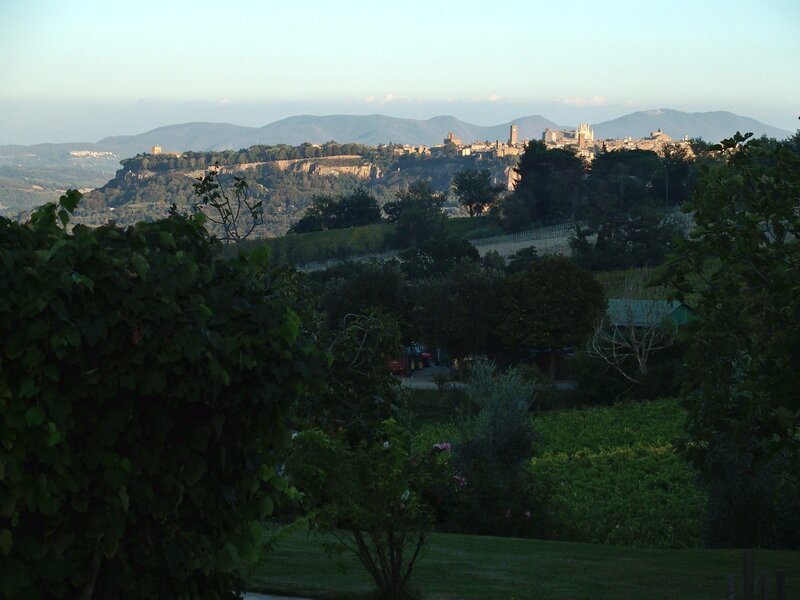 Bill and Kristi, I only had one week with you and Jill Berry in beautiful Orvieto. It was a truly wonderful week. I remember kind of dreading the cooking lesson, since I am not fond of cooking… but it was the best time EVER! 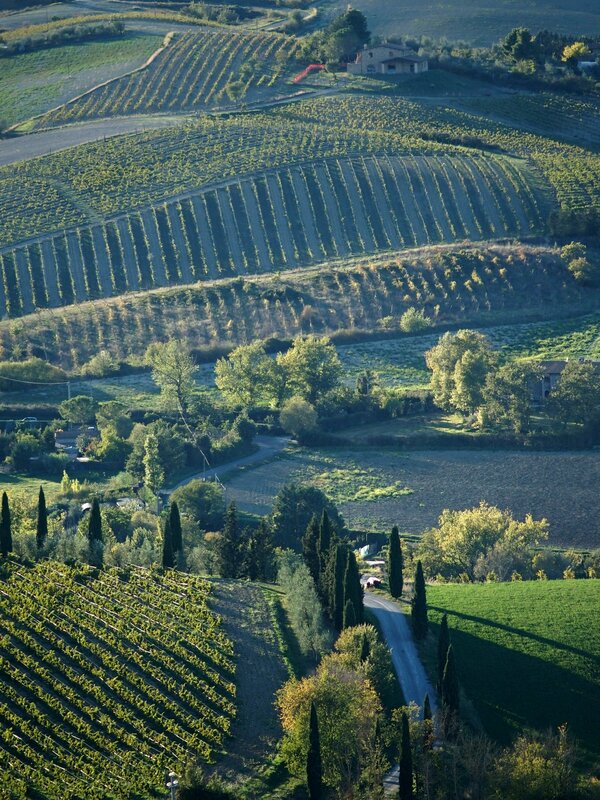 The beauty of Palazzone vineyards was one of my favorite things as well. Just being there is a gift. Grazie Mille and best wishes for the future! Bill and Kristi, I just wanted to let you know that the two of you have changed the trajectory of my life and I am forever grateful. In 2010 I took a class with Misty Mawn painting faces. I’d never painted before so I really had no business going to that class. For some reason I put all my doubts aside and just did it. It quite literally changed my life. It ignited both a passion for painting and for Italy that has fueled me ever since. I’ve been to Italy many times since then and I fall deeper in love every time I go. I also paint every chance I get, started teaching classes and am actually starting to offer painting workshops myself in Italy. Truly a dream come true!! I’ve wanted to be you “when I grew up” ever since I met you and saw what you were doing in Italy. How did this happen?? I was an accountant having a perfectly ordinary life until I dared to join you on one of your adventures. Now everything has changed. Because of you I feel I’m finally living my authentic life. Thank you so much for daring to follow your own dreams all those years ago. I hope you realize how you’ve impacted the hopes and dreams of everyone who has been blessed to join you. I, for one, can never repay you. Thank you from the deepest spaces of my heart. Best of luck to you both in whatever the future may hold for you.